An Upper Peninsula native, Dr. Willam Bowerman began studying Michigan’s bald eagles in 1984. Now a professor and department chair at the University of Maryland, he continues as the coordinator of Michigan’s eagle surveillance program under the Department of Environmental Quality. Recently, Bowerman stopped in Traverse City to talk with Nature Change before going on to speak at the Mackinaw Raptor Fest sponsored by the Mackinac Straits Raptor Watch. 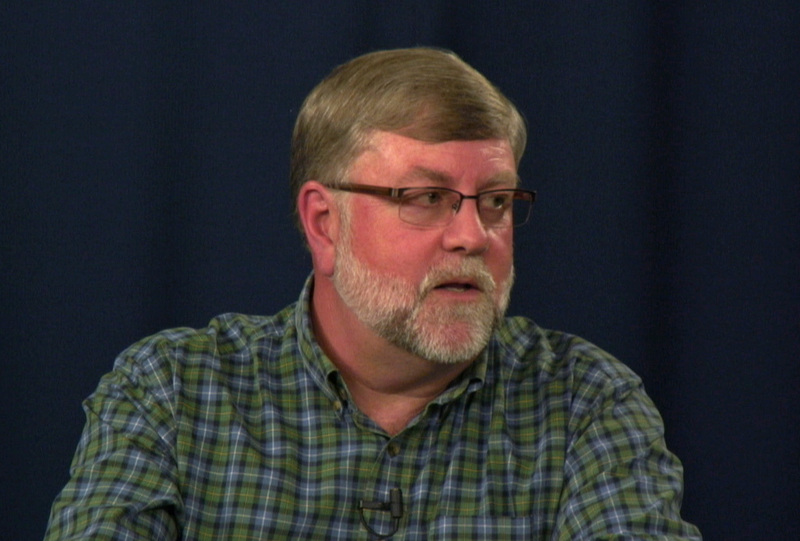 He joined Jacob Wheeler in the TV studio at LIAA’s UpNorth Media Center to record a short presentation on the research he’s involved in and the changes observed in Northern Michigan bald eagle populations. This video provides a selection of out-takes from a longer recorded conversation. One of the key points made by Bowerman is that northern Michigan’s bale eagle population is nesting and laying eggs earlier in the season, reflecting the changing climate. As waters warm earlier, nesting also begins earlier. Additionally, the region’s bald eagles are becoming slightly small. A predictable result of increasing temperatures. Based on the research completed to date, Bowerman says, bald eagles are responding to a changing climate. So far, our eagle population is acclimating well. The surveillance program will continue to watch these environmental sentinals. Love the graphs. Really impressive research.